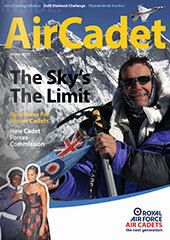 Gliding in the Air Cadets is amazing and is open to all Cadets. Watch this video and you’ll get some idea of what an experience it is…of course it is miles better in real life. If you are 13 years of age or more, you could be in the front seat, just contact us.